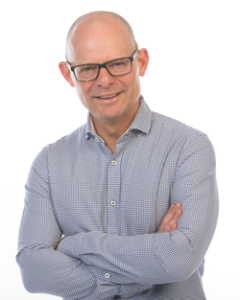 Undoubtedly the biggest piece of Australian recruitment industry news of the past week has been the announcement from Hays of the move of Hays Asia Pacific MD, Nigel Heap, to the very challenging job of MD of Hays UK & Ireland. When Heap arrived in 1997 to take over the top local job, Hays was widely seen as having lost their 1980s market-leading position after the defection, ten years earlier, of Greg Savage and Graham Whelan to start what became Recruitment Solutions, together with the establishment and rapid rise of Morgan & Banks. Fifteen years later, Heap has built a deserved reputation with his industry peers as being responsible for Australia’s best run recruitment company. Clearly, Hays Global CEO, Alistair Cox, is hoping Heap’s leadership can restore a business (Hays UK & Ireland) that has had four different MDs in under five years, with the most recent, Royston Hoggarth, sacked after barely 18 months in the job. The UK business has traditionally been the financial powerhouse of Hays and it has, over the years, provided the cash flow for Hays to launch its hugely profitable recruitment agency model into other countries around the world. However since the global financial crunch of 2008, it’s been very tough going for Hays in its home market. Drastic public sector job cuts from the Cameron Government has dramatically impacted the previously very strong, public sector recruitment specialist division which had accounted for up to one quarter of the Hays gross profit. Two years ago, Hays Asia Pacific vaulted past Hays UK Ireland to become the most profitable division in the Hays global empire and since then it has increased its lead with the most recent full year results (financial year 2011) revealing that Hays Asia Pacific accounted for more than two thirds (AUD$118 million) of the total Hays global operating profit (AUD$172 million). Not only has Nigel Heap been able to consistently grow sales and profit, he has proven himself to be without peer in the recruitment world in turning gross profit into operating profit. The 2011 financial year results showed that 37% of Hays Asia Pacific gross profit (AUD$318 million) dropped through to operating profit (AUD$118 million). An extraordinary achievement. Taking the reins from Heap in Australia will be current Regional Director for Hays in Victoria, SA, NT and Tasmania, Nick Deligiannis, although he will still report to Heap in his role as Chairman of Hays Asia Pacific. It will be fascinating to see the impact both Heap and Deligiannis will have in their respective new roles over the coming year or two.